This month's box is themed "ARCHERY ADDICTION" for all of you avid archery hunters out there. Valued at over $70 this box is full of some of the latest archery products on the market. 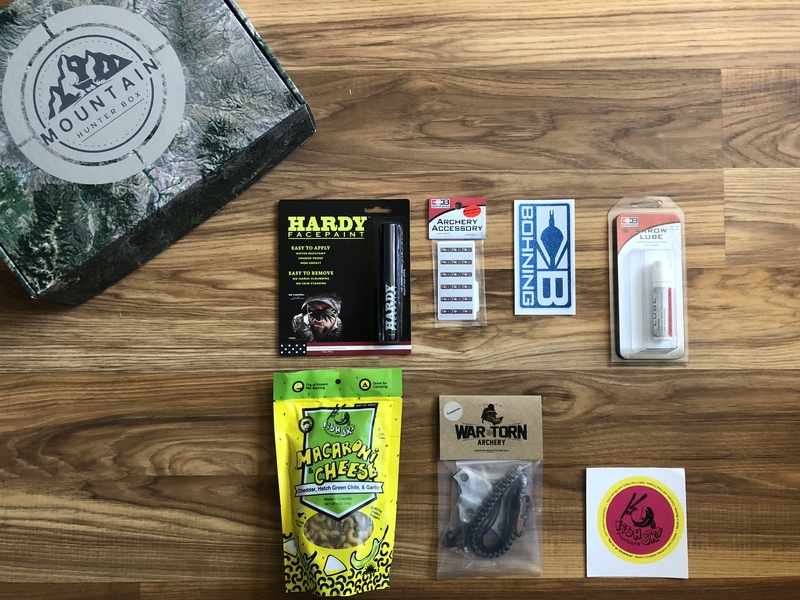 Items included are the Wartorn Archery Micro-sling , Hardy Facepaint , Bohning Archery Visiwrap arrow wraps and Arrow Lube, and Fish Ski cheddar green hatch chili and garlic Mac N Cheese backcountry meal .